Serves Under Cero Espada, Ashlei Clixx. For some reasons, Mikako was born this way. Violence: Her love for violence is what causes Mikako to have a lack of morality. 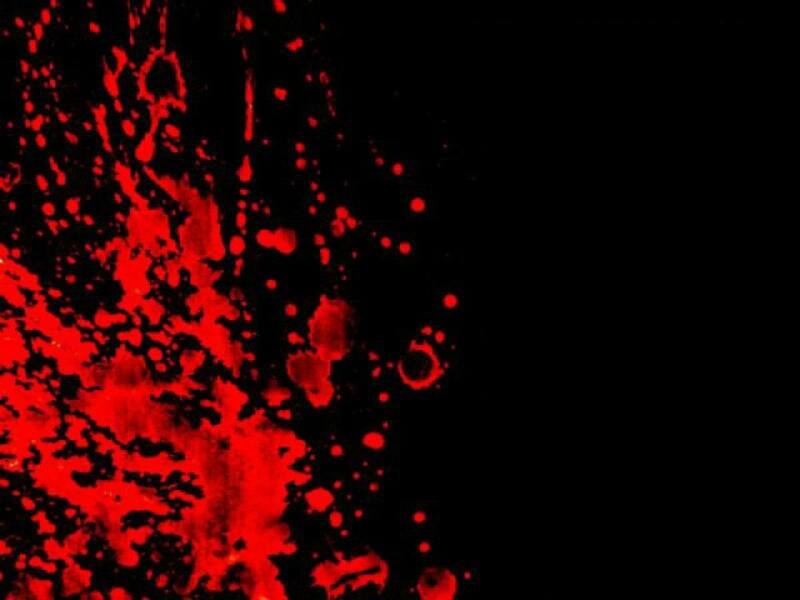 She never minds looking at dead bodies and blood all over the place. She will kill her opponents as brutal as she could to see them brutally die by her bare hands. Morals: Mikako somehow fails knowing what morality is about. Her lack of morality caused her to be sadistic, cold-blooded and loved violence. If anyone ever asked her a question, either she answers "Slaughter them" or "Leave them within an inch of their life". No matter how much people teaches mikako about morality, she will never learn. Sadistic: For simple, she loves seeing others inflicting pain either from her or from someone else. But she rather likes other inflicting pain from her since she does it in a brutal yet a very painful and cruel way she does. 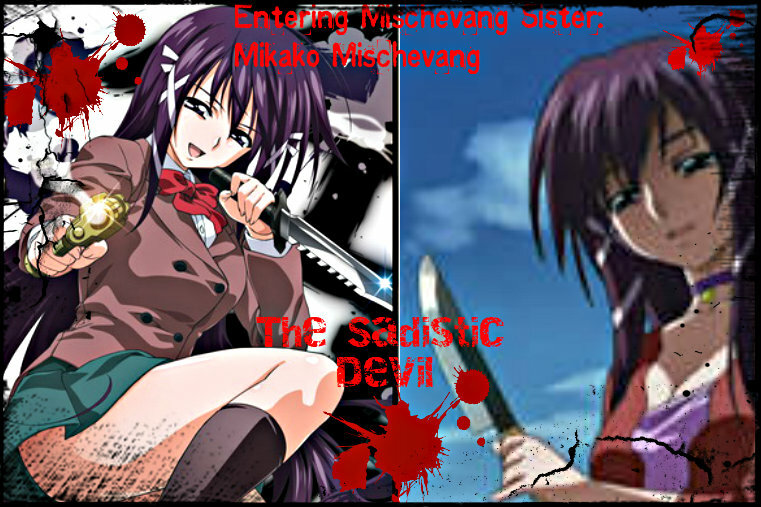 Mikako's Sadistic personality is one of her main features of her, that's when she was titled "The Sadistic Devil". Entertainment: If she finds anyone, both male and female, interesting, she will use him/her as a toy for her personal entertainment by humiliating, torture and serve them in an undesirable situation. Once she got bored of them, she will kill them immediately in a brutal way. Ruthless: No sense of humour. Mikako never shows mercy to anyone that she tries to kill and always make suggestions of Death Sentence when someone made a mistake and needs to be.. punished. Though she was never a ruthless person towards her sisters and parents. Weapon Lover: Lets just simply say.. She loves handling weapons that is brutal and dangerous to use like hammer, spikes and bombs. No matter how dangerous the weapon is, she would just simply take it and kill the person. If she does not like the weapon she uses, she modifies it or remake it completely to a new type of weapon that is far more powerful to use. Mikako is a tall young woman with a curvaceous figure. 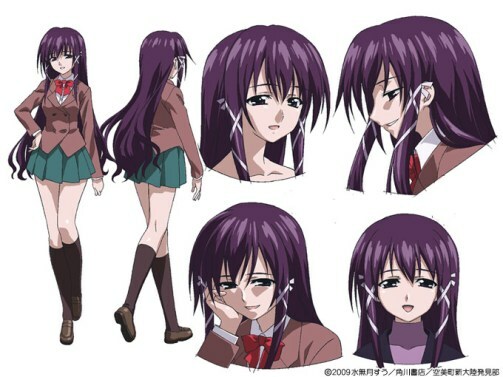 She has long purple hair with two ribbons tied to both of her side burns. She has squinty dark-purple eyes and maintains a constant grin, which reflects her sadistic attitude. She stands 165 centimeter tall and weighs somewhere about 50 - 60 kilograms. Attire: Mikako wears ALMOST any attire she could that fits her. She doesn't seem to mind wearing any kinds of clothes, even pervy ones. The common one she wears is a highschool uniform that she wears everyday at anywhere, including in hueco mundo. She never gets bored of wearing the same clothes all day long. Most people find it weird that there is no hollow piece located on her body. Her bone appearance can be found as the ribbons that is tied to both of her side burns. Not many people can figure out that her bone appearance is actually the ribbon since it looks much realistic as it doesn't look like it is a bone. Her Hollow Hole can be located on her chest. 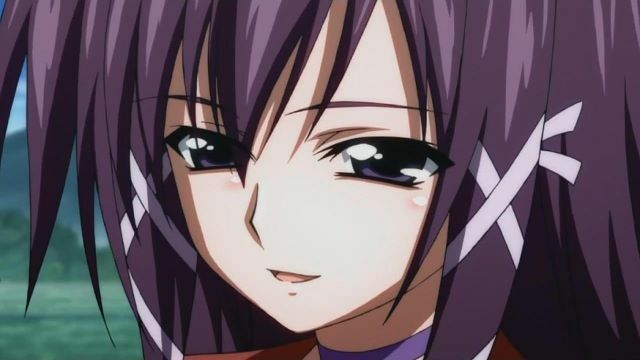 Mikako lives with her sisters in a very small town, that ranged 200 miles away from karakura and the small town was surrounded by the thick woodland area, with only a single way of going in and out from the small village. She was a corrupted, young girl who had only one thing in mind.. is to Kill. She was the most corrupted girl of all her sisters, she was born like a Killing Machine or maybe at least, the real human Killing Machine in the village. Thanks to her killing machine type of nature, her sisters and the peoples in the village counted on her to hunt down any animals found outside the small village. But One Day, she was sent out again to hunt down animals for some foods and she agreed happily wihout hesitation. She seemed to had a lots of fun hunting down those defenseless, weak animals that couldn't get away from either of her grip. The spear would pierce right through their nice, fresh flesh in the body. She returned from her fun hunting at least, but when she returned, Ashlei, one of her sisters was hanged dead, drawned, quartered and drowned right before her eyes. The village looked like it was totally destroyed, that's when she also sees the destruction that has caused in the village. A sudden blow was given from a hollow, piercing right through her flesh in the middle of her chest. She felt the pain and died after that single blow. Her spirit was chained with the dead body. She never thought of being purified, instead, she thought of becoming one of them, so that she could avenge the death of her sisters at least. Her corrupted soul and mind caused the hollowfication to fasten up and cause the chains to break down. A hollow mask was formed right on her face, as she was already became one of the beast. Her corrupted nature caused the hollowfication to finish in a few seconds, it was like the nature inside her was beyond her power. But as soon as she became one of them, she saw a hollow jumped into the river, bursting out from the river and starts to wreak havoc the village, causing destruction in the village and kill every single person in the village but left two people, her parents alone from being eaten. Mikako did not know why the hollow never ate her parents, that's what she was thinking. Maybe the hollow was actually one of her sisters, or the hollow left her parents for good. The hollow left after the destruction in the village was a complete mess, that when she also left, staying right in the human world. She finds every single human soul she can find and kill them, devouring their soul into her body. She continues to devour hundreds and thousands of soul to grow stronger, until she decided that she devoured enough souls and left into a garganta that mysteriously left opened for her. The Garganta ended her being in Hueco Mundo, a place she does not even know what it is. At least her life here would be more corrupted, fun and more soul to devour. Every soul here that she ate was tasty and more delighting than the human soul. And suddenly, she broke her mask out of hesitation, that made her powerful enough to become an arrancar. When her mask broke, she felt more powerful and more corruption when into her body. So, she starts to travel around Hueco Mundo, then to Las Noches. She remembered her purpose of coming to this place. The purpose, was to find her lost sisters. When she finds them, she will kill every single one of those pathetic humans, hollows and shinigamis that tries to step up to her. Her journey begans from here. If she really finds her sisters, Nothing more than being as happy as a cheerful person. 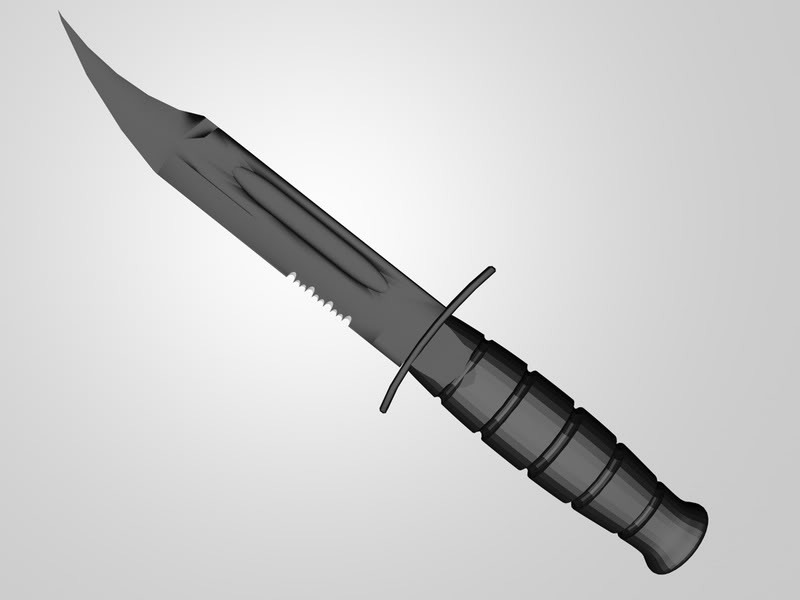 Her sealed Zanpakutō resembles to a combat knife that is mostly used by Military soldiers and assassins for a quick kill. Mikako's sealed Zanpakutō looks small and harmless, but it is a dangerous weapon that she can kill her enemies in a quick speed due to its low weight and easy-to-use weapon. Cero: Like any other arrancar that shoots their cero from fingers, palms and etc. Mikako shoots her cero from her Zanpakutō. Wihout her sealed Zanpakutō, she cannot fire any wihout her Zanpakutō with her. The cero she uses are 2 times weaker than the original damage of cero but 2 times faster. Her cero is purple in color. The cero moves so fast that only advanced speed targets or higher can dodge it wihout any harms on them. A purple orb is charged on the tip of her Zanpakutō when she points it directly at her enemy, releasing a blast of cero at sonic speed and the target will receive 2 times weaker damage than an ordinary cero. One use per post, 2 post cool down. Bala: Purple in color bala. It works the same as the cero, 2 times faster than the original bala speed (Original Speed = Twenty times faster than cero, 20 times by 2, forty times faster), 2 times weaker than bala's original damage. The bala brings some benefits to her Zanpakutō, she can either fire the bala or use it as a melee ability. The bala's spiritual energy covers up mikako's entire Zanpakutō and hardens itself up, able to last for 2 post before dissapearing. During the bala still taking effect on her Zanpakutō, her movements and speed will increase by 2 times, while her Zanpakutō's speed will also increase by 2 times than its original speed. After she uses on melee 3 times, Mikako's speed will be 2 times slower than her original speed. Three times per thread to use on melee, Three times use on range attacks per thread, total use of 6 use per thread. Sonido: Her sonido is always at its original level but Mikako rarely uses her sonido and rather depend on walking or running instead of using her sonido. Mikako only use her sonido when she can't catch onto something or when she is tired from all the walking and running, or if she is too lazy to walk around. Hierro: Mikako's hierro is no different from any other hierros that every arrancar had. She mostly depends on her hierro to protect herself from any incoming attacks unless the attack is powerful enough to cut through her hierro. Pesquisa: Mikako's Pesquisa can detect spiritual pressure with her pesquisa from 10 miles away in her current location. Garganta: Garganta (黒腔 (ガルガンタ), garuganta; Spanish for "Throat," Japanese for "Black Cavity") is how Arrancar and Menos-class Hollows move to and from Hueco Mundo. Kaname Tōsen, Kisuke Urahara and Mayuri Kurotsuchi have also demonstrated the ability to use the technique. It literally tears open the dimensional fabric separating the worlds, revealing a tunnel of whirling, torrential energy that must be focused and solidified to create a discernible pathway. Acid Control: Unlike any of her sisters, Mikako uses acid as her elemental abilities, unlikely more powerful acid that she can produce than any other acid Arrancar. She can produce acids from any of her body parts. She can make the acid harmless or dangerous. Her acids are GREEN-in color. She has not yet have a complete control of her acids yet and her acids can burn off anything she makes contact with, even the clothes she wears on her. If she deactivates her control of acid, the clothes that mikako wears will not be harmed. Mikako's acid is far more dangerous than any other acid users, not even the high-intelligent and educated scientist knows how strong her acid is. It burns through ALMOST any material, including strong materials like metals and such. Though her acids cannot burn through the strongest material. Her acids are corrosive. Once her acid is activated, anything that is near her (about 5 meters from her current position) will be damaged and hit by her acid that is released from her body once she activated her acid control. Her clothes, allies, material and friends that is near her will melt. She rarely uses her acid as she could hardly control its power. For now, she only starts using it unless it is required to. The activation effects only last a few seconds. SM4A1 Rifle: http://www.platinumhearts.net/t7033-sm4a1-rifle-finished <- Everything is stated in this link. List of Manufactured Weapons by Mikako: http://www.platinumhearts.net/t7037-list-of-equipments-finished <- Stated all the information about the list of weapons in the link. Gunsmith: Mikako possesses a skill to design, manufacture and modify any kinds of weapons that she knows, even explosives. Though she did not reach the level where she knows how to manufacture a cannon which is powerful enough to wipe out a row of shinigamis. She's an expert as a Gunsmith out of all her sisters, which her skills can make guns either any for her sisters for self-protection. High-Intellect: Mikako wasn't a Genius nor the smartest of her sisters, but her high intelligence could help her making a strategy. Her strategies isn't guarantee that it will work, but at least its worth a try for Mikako to use her intelligence to make a useful and effective strategy that might last for a while. Her High-Intellect also helps her to do a weapon and let it work effectively, she couldn't make a weapon wihout her intelligence. Energy-Consumption: Mikako's sealed Zanpakutō can take away her target's spiritual energy according to her own will. She can decide how much energy she would take away or she might not take their spiritual energy away and saves them for next time. The energy-consumption ability works on any races including hollows and Arrancar. It has no limit of use but if consumed too much spiritual energy, she will have to be forced to Resurrección to release her energy for consuming too much of them. She could only consume spiritual energy using her sealed Zanpakutō. To consume her target, mikako has to stab her enemy as long as she can to take away their spiritual energy. Once the Zanpakutō and her target's contact is broken, she cannot take away his/her spiritual energy unless the same action was made. Mikako would cut her wrist and acids would pour out from her wrist, burning everything off from her and patch up her wounds (excluding the fatal wounds, including her clothes are burned off), then the acid would surround her entire body and glows green for a few seconds. She would be in her Resurrección appearance once the acid explodes. In her resereccion, her clothes are entirely gone and burned off by her acid, and replaced by clothes made by harmless acids that glows red. Her harmless acid clothes are transparent but blocked by the glowing red lights in the acid. 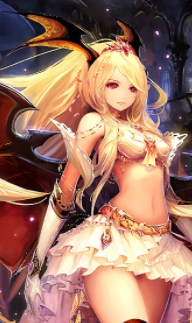 Her eyes turns into a blood red color while her hair does not have any changes. Her right arm is covered by her hollow piece, leaving her index finger free from the hollow piece. She is armed with a handgun marked with a skull mark on her handgun. A chain is locked together on the gun's handle that is about 5 foot long. While her left arm has no hollow piece except for her hand that acts like her glove. Mikako's left hand's glove-looking hollow piece is produced with corrosive and highly dangerous acid. No more changes are found after the Resurrección. Acid Punch: A small damage with additional acid damage that also deals a small damage, it won't work if the enemy's an acid user as well. Mikako grip her fist tight and channels her spiritual energy into her glove, producing a small amount of acid on her glove that is highly corrosive. Once she lands a punch on her target, the acid deals no damage if the target wears any armor on any part of their body, but her acid will burn through his/her armor with a punch. A tier 1-2, Tier 1-1 and tier 0 armor or higher won't have any effect for her punch. The Firearm: Mikako uses a firearm that resembles to a handgun, Glock 17. Far more powerful than her inventions and more of a useful tool for her to use during her Resurrección, so she will not need to count on her inventions during in her Resurrección mode. Her firearm has enough firepower to shoot off a 2 times faster and 2 times more powerful cero. Mikako can also shoot off a powerful bala that is as strong as a cero, but 2 times slower than its original speed but still faster than cero's speed. She can also fire off a spiritual energy that resembles to her reiatsu color. It has varies of damage depending of how much spiritual energy that she has channeled into her handgun. Her firearm is always ready-to-use and it can hardly be broken because the material of the handgun is made with a tough material + with her own spiritual energy from herself. It can be broken by high tier 0. Ripping Rain: An ability that is avoidable, but a risky ability that mikako unwillingly to use the ability that would cause danger to herself and to her allies. A line of red laser sights would form a circle around the barrel of her handgun and starts spinning at extreme speed. A crimson red sphere energy ball would start forming and floating in front of her handgun's barrel. After it is completely charged, it releases a small "click" sound that could release a small spiritual pressure around 20 miles of her entire area. The "click" sound and the spiritual pressure was sent as a message of "warning" to avoid the attack she was about to release. Once the "click" sound and warning was made, the red laser sight would dissapear and forms a large red line at the direction she was aiming and finally was shot towards the direction she was pointing at. After the energy ball reached its destination, it sends another signal of warning by using a loud, noisy "boom" sound and a strong spiritual pressure around 50 miles area before self-destructing, giving the targets or victims in the area an advantage to escape as quickly as possible. It takes a few seconds after signal was sent before exploding. After time has passed, it explodes into a billion of small energy ball and drops in the entire 50 miles wide area. Each and every single energy bullets that rains down rips and breaks through any defenses, except if its a tier 1 and tier 0 defense/shield or Bakudo 70 or higher defense/shield ability. Any target with advanced durability and hierro will not be harmed, but with a little to no damage. Grandmaster durability/hierro will reflect the raining bullets, turning the reflected bullets into a homing bullets and the raining bullets that are reflected will seeks out Mikako through any cost. Even if the bullets are mikako's ability itself, it would still do damage on her and attack her once reflected by any Grandmaster durability/hierro. The drawbacks of this ability are simple. Because of the large requirement of spiritual energy is needed for this ability, Mikako's speed is greatly decreased but her strength remains. Her decreased speed makes Mikako even more vulnerable this way. This ability is only available to Private/Open Combats and Events. It can be used twice only. Acid Shield: Typically, the shield doesn't deal any damage nor its corrosive or harmful when touched. But it can combine together with the ability called "Shredding Missiles". Mikako can form an acid shield out from her left hand, but her shield is not powerful enough and weak enough for Tier 2 or higher to break through her acid shield. Any physical contact from any Tier that is lower than tier 0 will not work against her acid shield but energy-related attacks that is Tier 2 level or higher can break through her shield. Advanced strength or higher could break through her shield wihout a sweat. It has no effects, side-effects nor doing any damage to the opponent. Acid shield was used for defensive purposes. Tier 2 would take a few post (Probably about 2 to 4 post hit) to break her shield down. As for Tier 1, 1 to 3 post might/could break her acid shield down. As for Tier 0-5 to 0-4+, 1 to 2 post could break her shield down quickly. For 0-3 to 0-1+, with Grandmaster strength will break her shield instantly, but with master strength would take 1 post before her shield breaks down into pieces. She can only summon 1 to 2 shields maximum per post with 2 to 4 post cool down to summon another one. Once shield has been summoned/used, it will only last up to 2 to 3 post. Mikako cannot attack other than using the "Shredding Missiles" ability to attack. Once the ability is used, the shield will break down instantly and completely once the ability is used. Broken shield can be re-summoned by two times, but once two replacements are made, re-summoning the shields are nearly impossible. Shredding Missiles: This ability cannot be used in any way other than the acid shield that could only be effective when using this ability. The ability would be extremely effective if the opponent was focusing of slicing her shield continuously and would give mikako an opportunity to effectively damage her enemy in such close range. "Strike and Rip them down into Shreds" as an incantation to fire off the missile from her acid shield. Her shield would fire off 6 missile that could pierce through a Tier 1's defense/shield (not easy to go through unless their defense/shield is at advanced level, hierro is included) and deals a slightly small damage to them. For Tier 1, their defense are nearly easy to pierce through, but not completely easy. For Tier 2 and lower, not easy to avoid the missile at close range and can be able to pierce through their defenses and shields easily. For all tiers, the missiles are easy to avoid, even for Tier 5 characters when fired from long range. Close range is near unavoidable but still avoidable for Tier 2 (if possible), Tier 1 and Tier 0 with advanced or higher speed level. When it hits, it explodes. It's explosion does no damage for those who were caught in it, just the recoil of the explosion pushes them away. This can be used three times per thread, including the replacement with the shield since once it has been used, the shield breaks down into pieces. Half-Line Acid: Mikako would place her left hand on the ground and channels some of her spiritual energy into her glove-like hollow piece that is covered with acid. The glove would release a line of spiritual pressure that is a mile away, then the acids would corrude through the soils and burst itself open from the ground, lining up a pool of acid. It doesn't look like just a simple acid just to walk through. If the acid detects any incoming opponents (excluding Mikako), it will form a line of spikes that is completely made of corrosive acids that could damage anyone once touched. Depending on what tier the opponent is, it deals varies of damage, Tier 0-3 to 0-1+ deals an absolute no damage and able to break through its defenses. As for Tier 0-5 to 0-4+, it deals from little to no damage. For Tier 1, It deals a small damage and still able to break through the corrosive acid defense if they have the required amount of strength. Tier 2 or lower would deals a moderate damage, no matter if its tier 5, it deals the same damage as it is. The half-line acid last for 2 to 3 post before gathering itself up into the ground and dries. The ability could be used twice per post, with four post cool down for re-use again. Each time the ability is used, the spikes would grow shorter and weaker, if used for the fifth time, Any tier (even Tier 5) could break through the spikes wihout any harms on them. Finally Finish This Application! This application is ready to be checked by the staffs. What does this actually do when it hit's someone? Also I don't think your approved tier is going to be that high so shredding a Zero tiers armour isn't gonna happen yet. Im going to approve this, but I will remind you that the 'Tier references' where you talk about how powerful your abilities are against other people are void due to the fact that your tier has not been determined pre-approval of the app. Instead, it'll have to fit the tier the app is approved at. I'm pretty fine with this will skills.